These days, I try only to purchase print copies of books I know I want to keep. Generally this is non-fiction/reference texts, classics, and books by my favourite authors. When I do get ones I don't wish to keep, I will pass them to family/friends, pop them in a charity collection, or sell them in a garage sale/online. I have delivered over a thousand babies in my career, but one in particular stands out in my mind. Out of the five prettiest girls in Paris, Oklahoma, my mama made four of them. Oh yes, this sounds like one of mine, too. Thanks for sharing. I finished it last night; it was an excellent read. Sounds interesting. This week I am spotlighting Say You're Sorry by Melinda Leigh. Happy reading! Ha ha. Don't worry; there aren't too many spiders in it! Fascinating! Thanks for sharing and for visiting my blog. You have my attention!! Happy weekend! It was an excellent read if you enjoy magical realism. I love the sound of this! Both the snippets make me want to learn more. Thanks for stopping by. 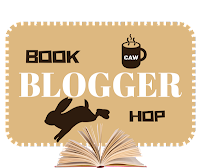 Happy Weekend Reading & Hopping! Donation is the next step and the one I usually take. True, we all have different tastes. It's hard to share with my parents and sister now that we live on different continents, but I have a local-ish penfriend with whom I sometimes exchange a book or two. My parents actually rarely read. Wow. What an intriguing opening. A boy raised by wolves. What? It was a good read. Worth a look if you like magical realism. Sounds like great read!! Have a great weekend! It was. I gave it five stars; although, I'm holding back my review until closer to release date. This one sounds truly magical. I'm immediately drawn to the story because of the synopsis. Thank you for sharing! It was a delightful read. Glad you found it interesting. I usually donate my unwanted books to Goodwill, as I have neither friends nor family who are readers. Selling books online is a BIG headache, and so are garage sales! 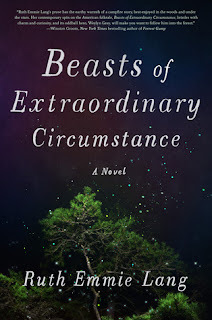 "Beasts of Extraordinary Circumstance" sure looks riveting!! I'm adding it to my Goodreads shelve! Hope you'll enjoy it if you end up reading it. I might be adding this to my tbr. Thanks for sharing! Yup I do the same things with my books that I don't want, but I mostly sell the books too half-price book stores. Thank you so much for stopping by my blog hop.